This is the third poem of the Gardener and My Garden series. side to read the first two Gardener and My Gardener poems. why aren’t there flowers out there? you’ll have flowers before long! but what couldn’t be seen. is seen, but on what is unseen. but what is unseen is eternal. they’ll be looking at me. gone, the new has come! or weeds, but not both. Do not love the world or anything in the world. If anyone loves the world the love of the father is not with him. A Christian Poem Book 140 poems that will touch your heart! The Gardener represents Jesus and the Garden represents our hearts. As we give the Gardener control over our heart he is able to do some wonderful things in our lives! However there are many obstacles on the way and most of them are caused by our unwillingness to give him everything. We constantly give control to him only to take it back. The weeds are whatever gets in the way of our relationship to God. The weeds don’t have to be bad things. However, when we let those things get in the way of our daily walk they become weeds in our garden.! Our weeds must be constantly taken care of or they destroy the garden. I hope that you will follow me on the path through life’s struggles, failures, confrontations, and victories on our way through the poetry of The Gardener and My Garden! you will fulfill the law of Christ. On September 1, 1992 our daughter Rebecca died of spinal meningitis, a disease that struck her over a weekend and took her from us quickly. We met a pastor during our time of grief and started attending his little church. During a sermon about fresh fire I felt in my spirit that I was supposed to write a poem about the topic. In the next 4 years or so poems started coming to me while in prayer, asleep, or during a sermon. It felt like a way God was comforting me during this time of grief and questioning. As the poems accumulated someone from the church stated that I should write a book! The book was really already written at that point. I went through the poems and made up 4 chapters. Ironically there are four poems about The Gardener and My Garden which I had titled one through four. 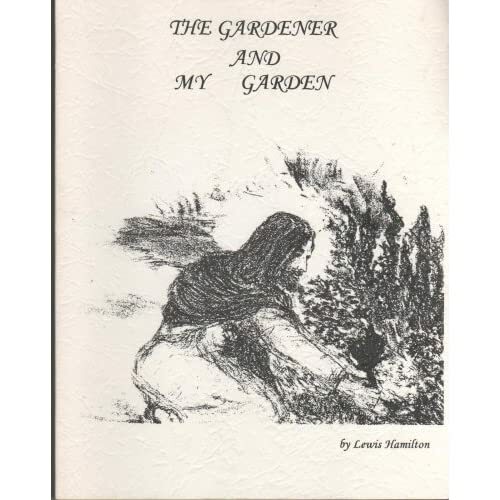 With each chapter came all of the poems that related to that particular Gardener poem. It pieced together so smoothly that I knew that only the Lord could put something so beautiful together and I was thankful that I was his instrument! So that was the beginning of the book that was printed and shared with family, friends, friends of friends, and so many I never knew before. Now I’m feeling it is the time to share this with you and the many people out there who may need help with the load they are carrying!